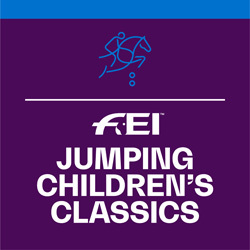 ESNZ Jumping is calling for expressions of interest for the FEI Children’s Classic to be held at the Larsens Showjumping Championships in Gisborne. This is an FEI event for 12-14 year olds jumping up to 1.30m on horses or ponies. Please read the information below, check you meet the selection criteria, and send in your application! We hope to encourage as many as possible to take part, not only those who have an impressive CV so please don’t be afraid to enter your expression of interest. Current members of ESNZ that will be 12 in the calendar year from Jan-Dec 2019 in which they turn 12 [they could still be 11 in January but will be turning 12 in 2019] till the end of the year they turn 14. Current FEI registration is required for riders and is free for under 18. New Zealand is only running the “gold” section of the competition as set out in the rules. Can I ride a horse or a pony? You can enter either a horse or a pony for the NZ competition. The only clarification is that the World Final is ridden on supplied horses – not ponies. Horses/Ponies are not required to be FEI registered. If I enter more than one mount what do I have to do? You must nominate which mount to be considered and you must ride that one first in the rounds. Only the nominated mount can gain overall points and be considered for the FEI ranking. How does the teams part of this work? A team will be selected to compete as a team for the World Teams Challenge. Team riders compete as individuals and as a team. The team score is then ranked against other teams from around the world for the final result. The team will be selected from the expressions of interest received by ESNZ. The Selection Criteria and Application Form can be found below. For the team’s selection you must have competed at 1.20m or higher during the period 1st August 2017 – Present, whether in Junior Rider, Pony Grand Prix, or Open competition. A horse inspection and trot up will be held prior to the first competition, to ensure the horse is ‘fit to compete’. As the horse has to be identified it is compulsory to have the completed identification page of the horse registration with you. For more info, see Horse Inspections – Annex 7 ESNZ Jumping Rules. Note page 90 for trot up procedure. The competition consists of a total of four rounds. Two rounds each day. The first day height will be 1.10 – 1.20. Second Day it will be 1.20-1.30 with the total penalties incurred giving the final ranking. The scores are collated and sent to the FEI where all riders are ranked and the top 15 compete at the World Finals on supplied horses. The course of the first round of each competition will consist of 10-12 obstacles including two doubles or one double and one treble. There will be no water jump but obstacles that include a water ditch may be used. The course of the second round of each competition will consist of 8-10 obstacles including one double or one treble. The courses will be designed by experienced FEI Course Designers, designated by the FEI Jumping Committee. The FEI will award certificates to the three best placed athletes of each participating nation. Only Athletes who have completed all 4 rounds on their first horse will receive a certificate. These certificates will be posted out to the NF only after all 3 categories of the competition have taken place. The names of the Gold Tour Athletes qualified for the Final will be published on the FEI website once all 16 foreign Athletes have confirmed their participation. Please feel free to email [email protected] for further information or clarification.